Customers hate unwelcome surprises in the shopping process, whether it’s higher-than-expected shipping costs or the inability to get an order by a preferred time. 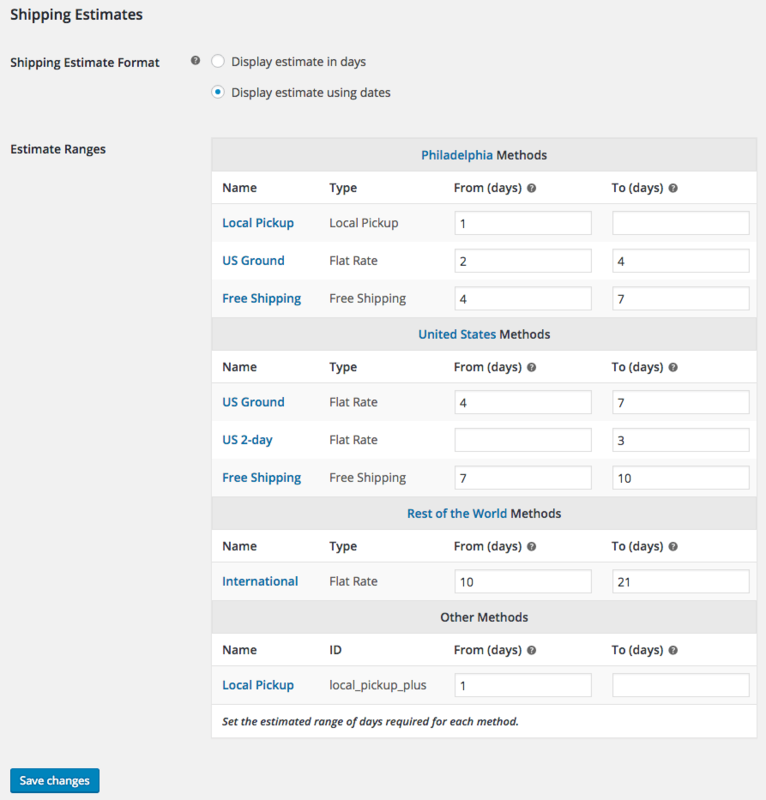 WooCommerce Shipping Estimates lets you add an estimated delivery time for each shipping method available in your store to keep customers informed as to how long each shipping method takes to send an order. 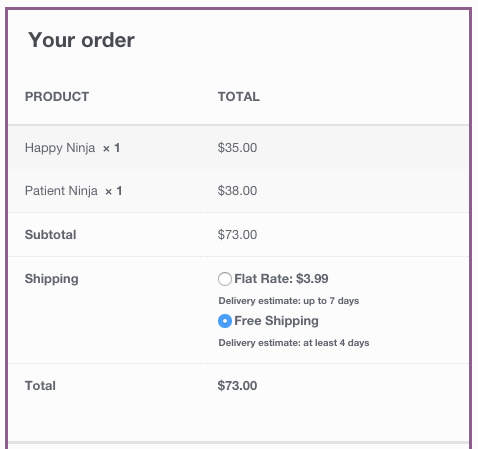 Any shipping method listed under WooCommerce > Settings > Shipping can accept a minimum delivery estimate, maximum estimate, or both. You can also determine whether to show the WooCommerce shipping estimate as a day range (2-5 days) or a date range (January 1 – January 4). 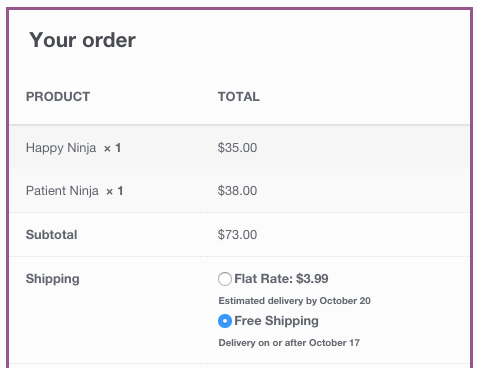 Please note that shipping methods that do not appear under the Shipping settings (such as combined rates like Table Rate Shipping) will not be compatible with this plugin. We do not plan to add support for this in the future. 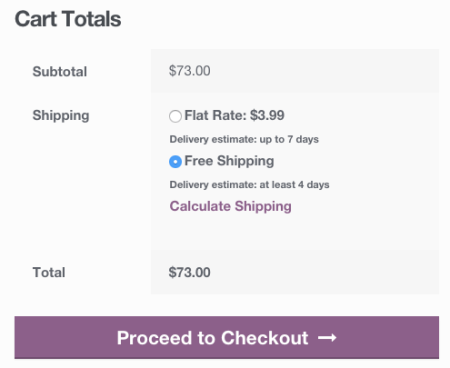 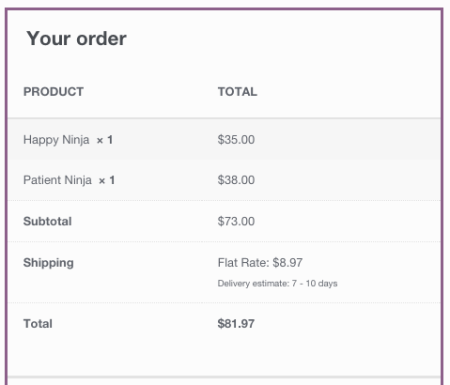 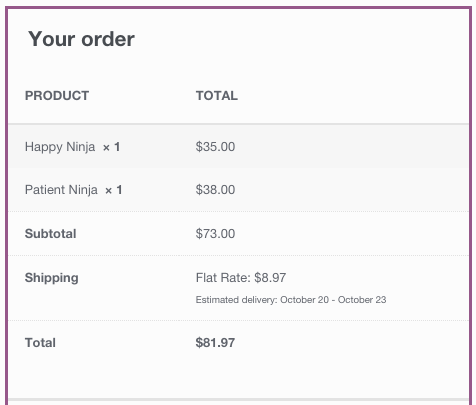 You can download WooCommerce Shipping Estimates for free by using the “Download” button above.